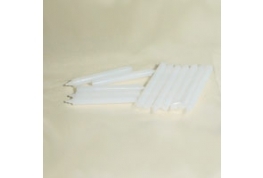 Pack Of 10 White Candles Granny Always Had A Pack Of These For Stand By. 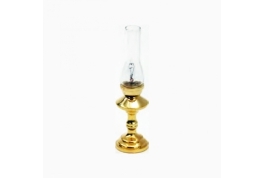 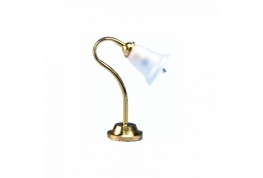 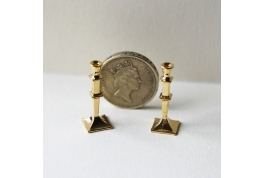 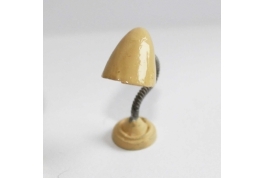 12th Scale Metal Candle Sticks Gold In Colour And Finely Detailed. 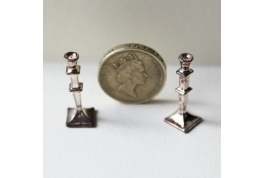 12th Scale Metal Candle Sticks Antique Silver In Colour And Finely Detailed. 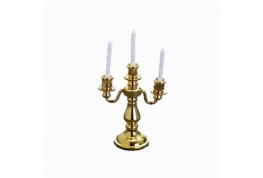 12th Scale Gold Colour Metal Candelabrum With Five Miniature Candles. 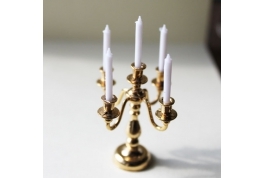 A Lover Table Center Piece For Dollhouse Dining Table. 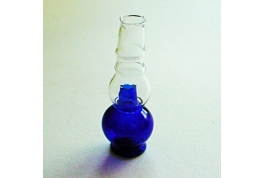 12th Scale Glass Hurricane Lamp With A Blue Glass Base And A Clear Glass Chimney.